What type of label are you looking for? Metalcraft’s customized identification products are utilized to service a wide range of applications in a wide range of industries. As you can imagine, each industry among this diverse group utilizes Metalcraft’s identification products differently. Many use our product labeling solutions for applications most contractors, engineers, purchasers, and office managers encounter every day. Our Asset ID, UID and RFID tags are integral to many processes, from asset management to OEM product identification. Metalcraft’s security labels are used to track warranty information and deter theft, while paint-resistant and high temperature plates and labels track work-in-process applications on product assembly lines. Innovative product uses specialized inlay optimized for attachment to vehicle windshield. 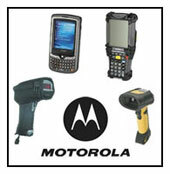 Entire line of durable, reusable RFID products for asset tracking for generating ROI. Durable polycarbonate housing resistant to heavy impact and submersion in water. The product categories below contain information on typical applications and processes enabled by our product identification solutions. With Metalcraft’s commitment to deliver property identification solutions, the possibilities are endless. We deliver identification products that simplify business processes.